Ever since it lurched onto the silver screen in 1932, the zombie has become one of the most prominent horror figures in the genre. As they are responsible for numerous adaptations, retooling and reboots over the years, the popularity of the genre has waned over the years here in America which is pretty much barely an issue in Asia. With plenty of incredibly enjoyable titles in their long history that simply don’t get the publicity in America due to way too much coming out here already, it’s time to offer a spotlight on some of these under-appreciated and overlooked gems from Asia. There’s not much to say about this one, as it is incredibly rare and might even be lost, so information about it is quite hard to come-by. However, that is not to say the film isn’t worth bringing up as it’s the first Asian zombie film from pretty much all surviving accounts. 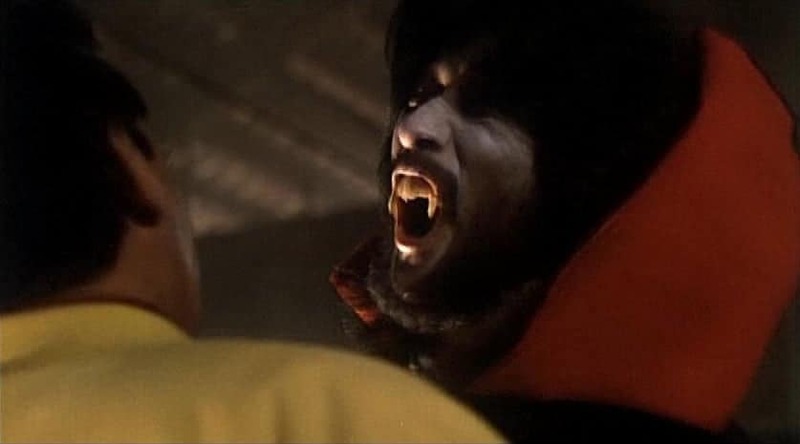 and the time-frame of putting it in the late 1950’s is quite important in that context, even if it turns out to be more of a vampire film than a zombie entry judging by some of the contradicting reports and rumors that have made both claims. Still, even if it doesn’t turn out to be a true zombie film, this one is deserving of mention. An absolutely essential entry, this South Korean take on the Spanish/Italian classic The Living Dead at Manchester Morgue plays things in much the same manner as we get a similar setup. The newly-installed radio transmitter using ultrasonic wavelengths has caused all the corpses in the local cemeteries to rise up, causing the zombies to go on a rampage in an endless search for blood. The first zombie film from the country which would soon produce many more classic efforts in later years, this ultra-obscure effort is said to be incredibly atmospheric and enjoyable, making it’s rarity all the more troubling for those willing to see it. Part of the Golden Age of Hong Kong movies, this stellar two-pack of action/comedy/horror films focuses on the more of a ghostly vampire side to the genre rather than the typical rise-from-the-grave effort. Part One deals with a pair of dimwitted cops assigned to a remote police station that used to be home to a group of Japanese soldiers during WWII and get resurrected to chase the pair around the station, while part two deals with a group of agents attempting to deal with the fallout of the original and finding themselves over-their-heads, requiring the use of the team to band together and fight the creatures. Full of outrageous pratfalls, silly slapstick and relentless energy, their zombie status might be somewhat questionable but these two entries are surely some of the finest films from that time-period. 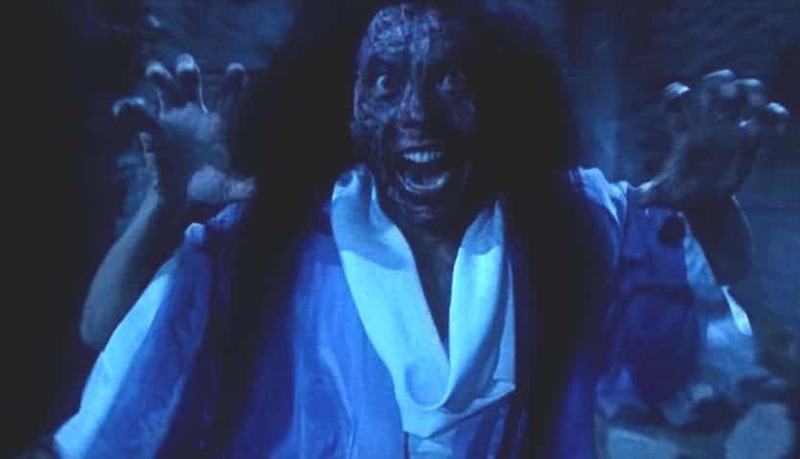 A South Korean take on the Mr. Vampire series, this wacky effort was outrageously intended to be a children’s film, despite all the seriously loony elements on display. 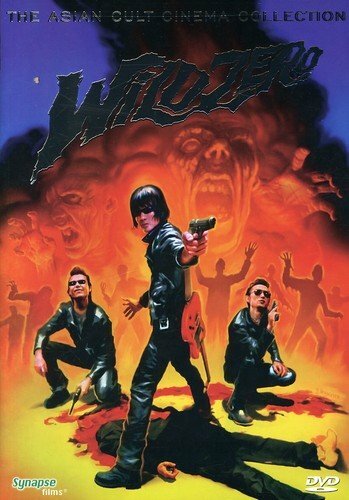 The film, about a flying saucer that reanimates the corpses of various zombie children under the control of a ghost girl who sends them out to kill her captors, is loaded with wholesale comedic interludes, plenty of kung-fu fighting, insanely brutal characters with the kidnappers and far more blood than any Western childrens’ movie will allow despite the sense of whimsy featured. Still, this effort is still highly worthwhile just to see how all these disparate elements are brought together in the first place. While the Golden Age of Hong Kong cinema was starting to run dry by the time the 1990s rolled around, stalwart director Jeffery Lau was able to contribute one of the finest late-era efforts of the scene. Vaguely resembling a Hong Kong version of The Fog, a bumbling cop finds something creepy going on in a local village after a trope of opera performers go missing, looking into a legend about treasure being buried in the area following the locals killing the crew of a gold-laden ship before sinking it and then finding the treasure protected by ghostly zombies. This exceptionally plot-heavy effort is filled to the brim with manic slapstick, high-energy action scenes and slightly lower but still nice-quality production values that makes for a watchable if not necessary effort like his earlier films. One of the most essential choices on the list, this absolutely gut-busting Hong Kong horror/comedy is one of the finest Asian horror films in the genre as a whole. About a group of low-level drug runners who inadvertently trigger a zombie apocalypse in a shopping mall by an accidental release of chemicals to the patrons inside and forcing them to band together to survive, this one produces a series of genuine laughs and truly enjoyable comedy that goes hand-in-hand with the zombie carnage. Some of the effects are dated and somewhat laughable by today’s standards, but this high-energy affair is definitely not to be missed by fans of the genre as a whole. An immensely popular cult effort, this entry starts off a pretty common affair to come with the Japanese really coming into their own within the scene. A comedy-laden affair with a serious touch, this finds the rock-n-roll band Guitar Wolf coming to the aide of a mega-fan when an alien invasion starts to bring the dead back to life and threaten humanity. Filled with the typical Japanese bizarre humor, completely nonsensical storylines and letting the band share their wild stage personas in fine form, this might not appeal to all because of that sense of goofiness from the country but for those that can appreciate it, this will certainly be a lot of fun. 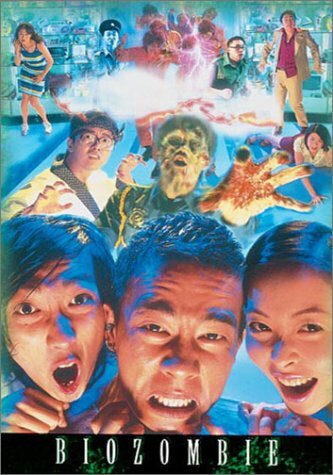 One more hilarious Hong Kong horror/comedy, this clear attempt to recreate that madcap style and high-energy humor does come up a bit short in that regard, but has enough to like. Featuring an agent who gets bitten on assignment and returns to Hong Kong accidentally creating a zombie plague which forces fellow agents to stop his rampage, the film goes into a bizarre and highly enjoyable mix of ‘Night of the Living Dead’ and Hong Kong comedy. The single-location feel and overly-familiar storyline aren’t enough to quell the zany antics and classic feel of this under-the-radar effort. 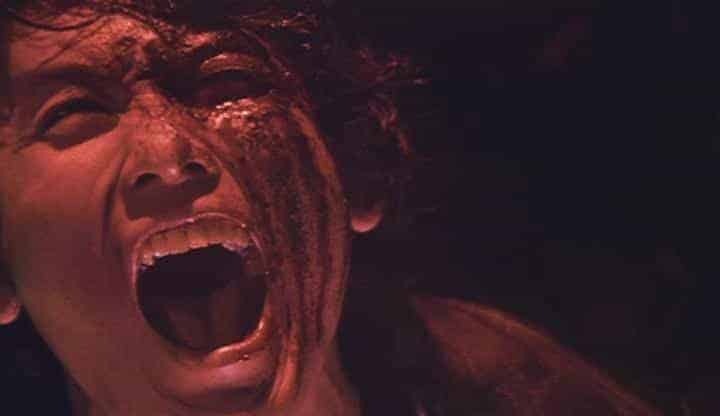 A common trend in this aspect of the genre starts here and becomes more prominent as time goes on which is the whacked-out gore-drenched efforts from Japan. Taking their cues from Italy and America for its visual aesthetics, this one concerns a group of jewel thieves dropping off their prize in a supposedly abandoned factory only to find the place overrun by zombies from a failed medical experiment. Not nearly as demented as the country’s later films, instead the straightforward old-school effort trades on simplicity and gore to make for a rather enjoyable time. A completely different take from those used to Japanese affairs, this is far more of a metaphysical entry that balances numerous elements together into a completely original bent. A meeting between various gangsters goes awry in a forest sitting over one of the Gates of Hell when the zombies of those killed there previously reanimate and begin tormenting the living people still there. The film manages to mix together high-energy martial arts action and swordplay, Hong Kong-influenced gunplay, corny one-liners and plenty of twists and turns in a complex storyline. A slick and stylish effort with some great ideas behind it, this is a far more enjoyable and engaging effort than it’s cover art would imply. A more typical effort for what would come from Japan, this bizarre and outright zany effort plays like a live-action manga just like the source material. 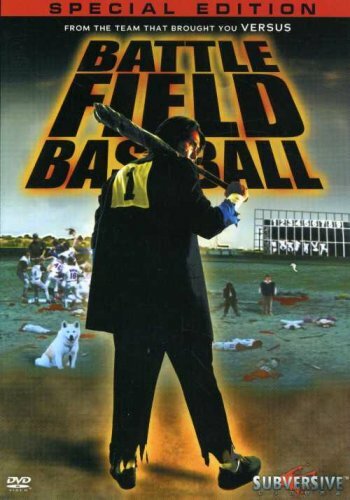 About a baseball team forced into playing against a zombie team that eats the competition if they lose and forces the opposing manager to bring a star player back to playing the game if they want to win, this effort totally overwhelms with its bizarre plotlines, absurd slapstick and over-the-top gore. This is a fine starter entry for those to get prepared for the later entries in order to get a taste for this kind of entertainment. Thailand might’ve been a bit behind the times when it comes to playing around with the undead, but they certainly brought a fine starting effort here. 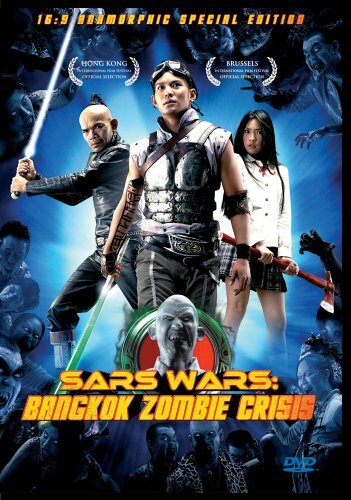 Concerning a soldier arriving at a government research facility looking at developing a cure for a savage strain of the SARS virus and finding the area overrun by flesh-eating zombies, this one is absolutely loaded with the typical Thai penchant for silly, low-brow jokes and comedy, goofy mugging and over-the-top antics. That’s done in conjunction alongside some fine gore, tons of wackiness that easily becomes an acquired taste and a general sense of fun surrounding the madness. While most Japanese efforts run with the serious, over-the-top gorefest as we’ll see later on, this one still maintains the lighthearted comedic stylings. 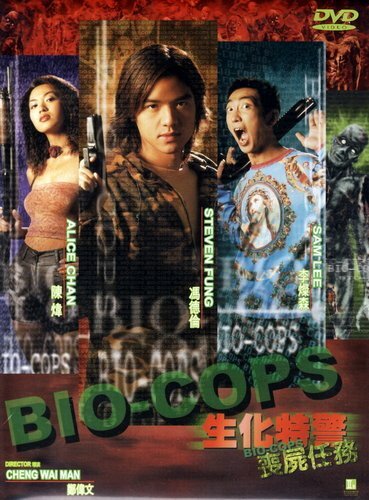 Centered on two losers who accidentally kill their boss and bury him in a trash pile on the outskirts of the city and are then inundated with zombies forcing them to put their martial arts skills to sloppy use in order to stop them, the film focuses on nonstop zaniness with almost a Hong Kong style comedic adventure to go along with the zombie action. Definitely one for those that like comedy sprinkled with horror around the edges as it can get way too goofy for its own good at times. For those that thought the previous film was a comedy that added a few horror elements to it, Malaysia’s first zombie film ups the ante, doubles the pot and then tacks on an additional layer of cheese and silliness. Featuring the exploits of a peaceful village in the jungle who come face-to-face with zombies and must battle them to save their way of life, the name of the game here is straight-up laughs that include the horrific idea of the threat coming from the undead trying to kill them. Made by comedians which should give an idea of how to approach the film, this one is strictly for those looking to have some chuckles from something new. Very much a product of the Japanese sensibilities at the time, this one emerges as a truly enjoyable blend of high-quality splatter and numerous action with all-out bizarreness and slapstick comedy. Featuring a schoolgirl and her friends visiting her grandfather in a remote village which has become overrun by zombies and forcing them to channel their family legacy to stop the creatures, this proves to be a highly enjoyable middle-ground of their zombie cinema featuring plenty of laughs if not outright goofy comedy and more restrained if continuous action scenes. In the end, this makes for a fun overall addition to their catalog. One look at the company credits here should tell you immediately what’s in store: over-the-top blood and gore from absolutely absurd situations that can only come from the minds of Sushi Typhoon. Concerning a warrior and her band of allies making a cross-country trek through a zombie plague to kill the zombie queen at the heart of the apocalypse, this effort features an insane series of gore gags an special effects hung off a storyline that simply serves as an excuse to showcase them. The post-apocalyptic touch is a nice change of pace, and while it’s a bit too long for its own good, there’s plenty to like for fans of the studio. One of the most unique and creative ideas for a zombie outbreak film, this six-episode omnibus-styled anthology takes an entirely new look at what occurs during and after the outbreak. With episodes dealing with how to treat loved ones who are zombified after the government orders a total extermination of the infected to how to treat the infected with a cure to what lies ahead as the city attempts to rebuild and more, this is a far more humanistic take on the genre that expertly uses it’s format to fine effect. Definitely one for those that want to see that there’s more out there in the genre other than being a thinly-veiled special effects demo reel can be. A rather curious Japanese effort, this is a far more sedate and character-driven piece that still maintains enough hallmarks of the genre for those who enjoy them. Focused on a woman trying to survive in the middle of a zombie outbreak that only affects the men after they’ve killed her family, the film manages to eschew the traditional action and wackiness in favor of introspective drama about the plight to survive the various figures still alive. There’s some weirdness with the animated dreams and low-quality CGI, but the rest of the film is more than enough to be worth of inclusion. 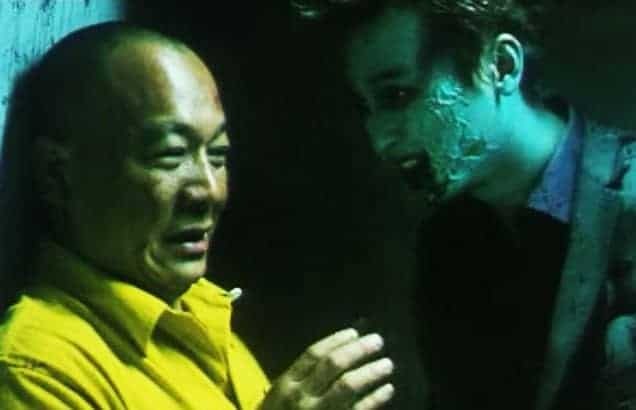 Singapore dives into the zombie comedy stakes with this delightfully cheap and cheesy effort that comes off as a slightly more polished and serious Troma film. Featuring a former soldier who deserts the Army to return to his hometown only to find a zombie apocalypse has spread throughout the island and trams up with other survivors to escape, this one is all about the fast, high-flying jokes spread throughout the running time. Not to be taken the slightest bit seriously considering the type of content and the execution of these scenes, the film is mainly for those who like the silly, low-brow humor present. It’s time for the Philippines to tackle the genre, and this entry manages to bring together a far more old-school feel with modern comedic sensibilities. Featuring a pair of teenage orphans who have made a living grave-robbing and upsetting the locals who force them to flee to a seemingly abandoned island where zombies have been revived by an alien virus and forcing them to use their wits to battle the swarm of flesh-eating ghouls, this one manages to bring together a varied mixture of elements including slapstick comedy, child adventure and somewhat creepy zombie action. Some of these elements may be at odds with each other and the low-budget effects do hurt it somewhat, yet as an overall curiosity from the country this still deserves some mention. It would be no surprise to mention that most films around this time-period would be a variation on the Shaun of the Dead formula, however, this time around it’s Malaysia that provides the fun in this lighthearted, enjoyable zombie/comedy. Once again taking a lone slacker who finds that a zombie virus has been unleashed in his hometown and must race to protect his friends in order to get to his loved one stuck in the middle of the horde, there’s a familiar feeling throughout here but manages to contain a rather heartwarming sense of personal duty and responsibility that helps to ground the film. While this isn’t as funny as many of the other entries aping this format, there’s enough heart and zombie action to make for an entertaining effort all around. One of the most unique and yet equally endearing entries on the list, this Japanese arthouse styled entry is as radically different from anything else in the country as it is from the other films listed here. On the surface about the exploits after the war against zombiedom has been completed and a viral contagion has multiple stages of transforming a person into a creature of a family who bring home a zombified slave to run the house, this is instead a far more psychological effort that eschews anything and everything traditionally associated with zombies due to the treatment inflicted about them reflecting back on society at large. Glacially-paced and shot in black-and-white, this is really only for those looking for something outside the norm and want to look at something different; simple-minded traditionalists should steer clear of this one wholly. It’s Cambodia’s turn at the zombie genre, and much like the majority of their cinematic output, this one’s a little rough around the edge but has a lot to recommend about it. Being about a special virus that affects Phenom Penh and forcing a group of survivors to get to safety and solve the mystery about the source of the incidents, it’s pretty obvious there’s not much to the film in terms of originality or even some of the other technical aspects. However, given that the country is still trying to find it’s cinematic voice in general, much less try out a zombie entry, there’s little reason to hold that against the film when, taken on it’s own terms, this is still a fun and somewhat enjoyable effort. A long-time staple of Japanese cinema, it’s oddly surprising that it took as long as it did to mix together the Yakuza film and the zombie genre. 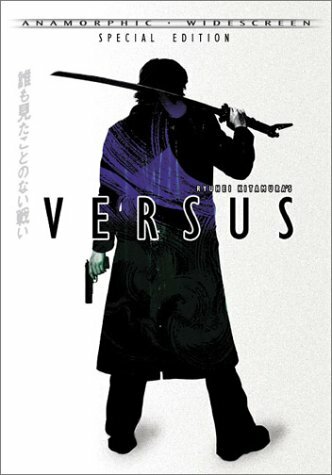 Concerning a former Yakuza soldier who gets freed from jail and learns that his friends’ sister is working on a project on a nearby island that’s become infected with flesh-eating zombies and forcing him to utilize his old skills to save her, this blend of the two genres proves to be a lot more fun than suspected. Mixing together old stand-by tropes of honor and brotherhood with the Japanese penchant for zombie action, this proves to be an engaging is not necessarily important effort in the genre. The influence of Shaun strikes one more time with this Japanese effort that once again features a lone, unsuccessful individual who finds his calling in the middle of a zombie apocalypse. Dropping the majority of the comedy aspects found in most adaptations of the story, the laughs are still there but instead replaced with far more dynamic and thrilling action scenes that revel in high-quality gore and graphic special effects work that’s successfully adapted from the original manga version. The length is an issue where it could’ve told this in a slightly shorter time-frame but this is easily overlooked due to its impressive other factors. One of the few animated zombie films in the scene, this oddly serves as a prequel to the directors’ later film “Train to Busan”. Concerning the early events of the viral outbreak that affected the characters in that film with several people of varying aspects of society forced into surviving in the midst of a zombie outbreak in Seoul, this effort is far more Westernized than it’s more well-known live-action feature with pointed social commentary on the aspects of the rich mistreating the more marginalized members of Korean society. Still filled with plenty of brain-chomping madness for those that enjoy it, the film is a bit more restrained in order to make it’s commentary be known which is the point of this enjoyable entry. Not only one of the finest zombie movies ever made, but one that can stand toe-to-toe with the genre epics from the US and Europe. Concerning a man and his daughter attempting to take a train to Busan in order to repair the fractured relationship he has with his wife and daughter but get caught in a rabid zombie outbreak along the way that infects the passengers onboard, this Korean masterpiece captures their modern cinematic viewpoints expertly. Packed with high-stakes emotional interludes due to the need for protecting his young girl and infused with gorgeous, thrilling action set pieces, this is easily one of the top films in the genre and highly recommended to anyone looking to dip their feet into Asian horror cinema. Yet one more Shaun of the Dead tale, this time emerging from Hong Kong with an absolutely bizarre twist as is expected from their style. This one features two losers attempting to get by in Shanghai by publishing a comic book together, only for their more adult responsibilities to get in the way of their plans which gets further complicated with a strange zombie outbreak runs throughout the city. Mixing together the bizarre imagery and wackiness that’s typically found in Japanese cinema with some highly emotionally exploits that are found in Korean cinema, this mixture creates a somewhat disjointed but funny and heartwarming journey that really has a lot to like. As hard as this might be to believe, this is pretty much now the top film in the scene when it comes to zombie/comedies. A truly standout genre effort, this is told in two parts as a near-forty minute one-take shot of a film crew shooting a zombie movie only to suddenly meet up with a real-life zombie outbreak, only to then go back to the start to show that this opening was a live-TV broadcast and then showing how the pre-production went as well as the actual on-set filming of the show. Hilarious from start-to-finish, this meta tale on the making of a film will be even funnier to industry professionals than the regular person but even they will be laughing non-stop here which makes the film one of the greatest comedies in the genre. As the success of Train to Busan was felt on a global scale, the same studio put together a follow-up that takes the zombie plague to a brand-new location, Feudal Korea. Detailing the adventures of a disgraced prince returning from an imprisonment to find his kingdom overtaken by a foreign-based zombie plague, this is certainly fine when it’s focused on the zombie action and gore but gets too caught up in political intrigue and backstabbing for its own good. This could’ve been shaved down somewhat so it’s not as overloaded with these conversations resulting in a bloated running time, but again it scores so well on the zombies that it’s not as detrimental as it could’ve been.